Bringing food production back into cities has become a big topic over the past few years. And gardening in urban areas is getting more and more popular. Decks, rooftops and windowsills are used to grow a wide variety of plants. But the wellbeing of our leafy friends strongly depends on the right environmental conditions and the care provided by their owners. 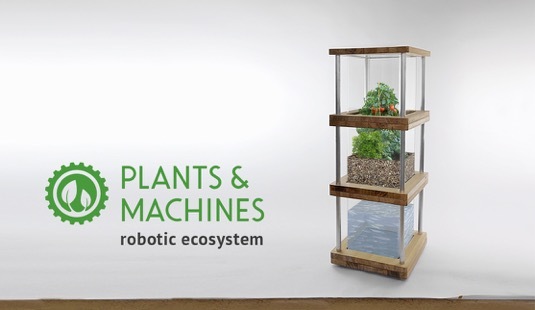 plants & machines, a german biotech start-up, recently released first impressions of their upcoming “robotic ecosystem”, a fully automated aquaponics system greenhouse that grows food regardless of location and seasonal climatic conditions. 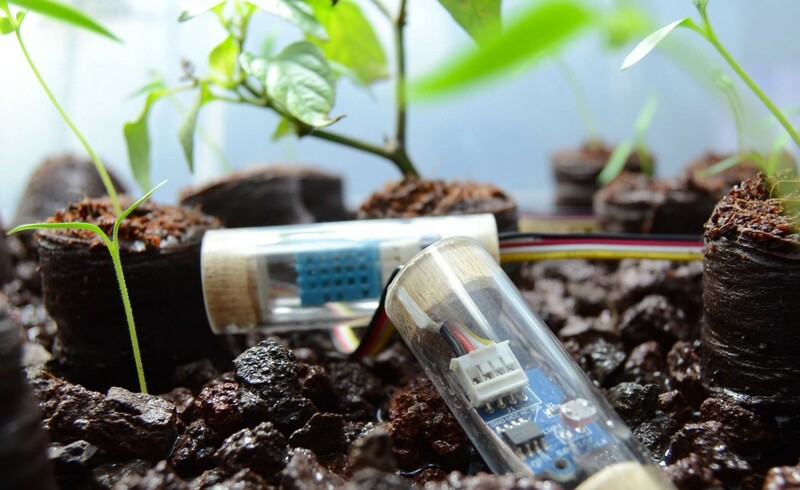 The system minimizes the hassle of growing plants while it integrates users into the functionality of ecosystems. The autonomous robotic system senses and controls environmental conditions, which it adapts to the needs of the plants. Additionally, artificial intelligence (AI) controls the robot and optimizes the cultivation of food. By combining AI with the sustainable cultivation of plants through aquaponics, it’s possible to produce crop such as fruits, vegetables, herbs and ornamental plants as well as food fish, ornamental fish, clams, crabs and shrimp without relying on external resources. 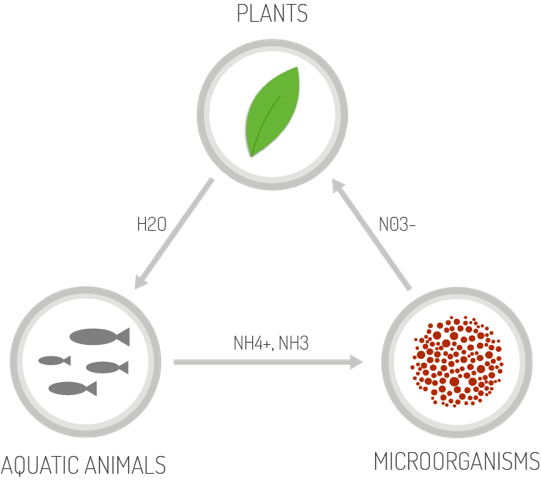 Aquaponics links aquatic organisms, microorganisms and plants into an artificial ecosystem. This way waste products of one organism function as supporting nutrients for the others. Aquaponic food production works completely without additional fertilizers and only uses around one tenth of the amount of water that is usually consumed in the traditional agricultural process. All in all, aquaponic food production is characterized by the increase in efficiency per square meter, the minimization of the time needed to finish crop-cycles, and by the reduction of external inputs. Next to its functionality, the robotic ecosystems are aesthetically pleasing, with a user-friendly, globally accessible interface for control and management of the system. plants & machines will show their brand new aquaponics system product this March at GFIA 2015, the world’s largest showcase of sustainable agriculture solutions. Afterwards – beginning of April – they will launch their kickstarter campaign to collect money to produce the first robots. If you’d like more information, have a look at their website here.